His long explanation dates back to 8th-century Spain during the Muslim regime (otherwise known as the Andalus era). It was a period of cultural prosperity that profited from many talented artists, one of which was an exceptional musician who composed 24 classical works (‘noubas’) – one for every hour of the day. These are the values that Ben Simon works daily to translate to the Israeli Andalusian Orchestra – Ashdod when carrying out his role as artistic director. For instance, he promotes dialogue through the composition of musicians within his orchestra; a mix of aurally trained North African musicians and classically trained local musicians accustomed to a more Westernized sight-reading approach learn to work side by side to achieve harmony. 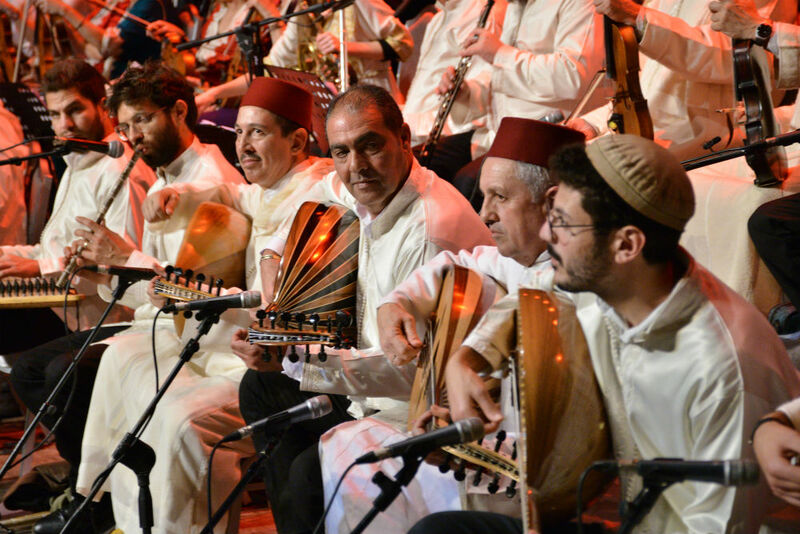 North African influence has dominated Andalusian music ever since the expulsion of Jews from Spain, when the original noubas were carried by immigrants to Europe, the Balkans, Algeria, Tunisia, Libya and especially Morocco. The Muslim migration was not far behind.